Futures Forum: Plans for Port Royal and the Eastern Town >>> "The needs of all these clubs and organisations remain paramount in any plans for the future development of our town." The large slide is believed to have taken place during Wednesday evening. Photographer Simon Horn captured these images showing a large amount of debris forming at the bottom of the cliff before the weekend. 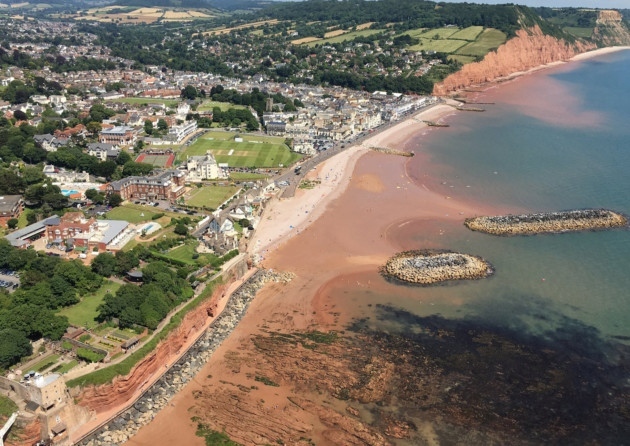 "a forum to stimulate debate"
The purpose of this blog is to explore the issues that are impacting on Sidmouth's present and future - and to give voice to the variety of opinions around those issues. The Futures Forum does not endorse, support, represent or guarantee the fairness, completeness, truthfulness, accuracy, or reliability of the content given or opinions expressed in postings on this blog. No rights are claimed for most media presented in this blog. All attempts are made to provide links, acknowledgements and credits for all sources. Should you have any questions about the copyright, proprietorship or authorship of any material (text or images) in this blog, please get in touch. 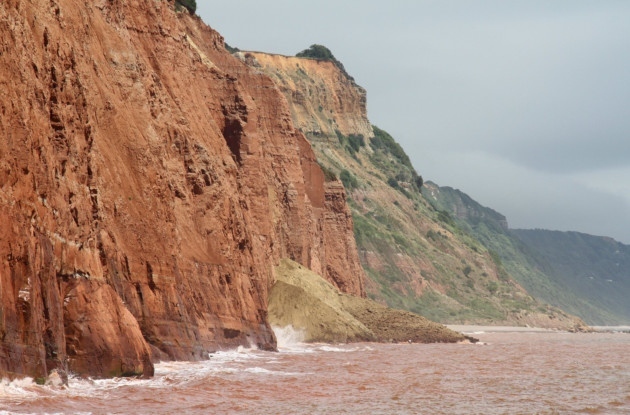 Climate change: "Just 90 companies are to blame"
Brexit: and a "huge boost to tourism"
Sidmouth's First Food Festival: Congratulations!